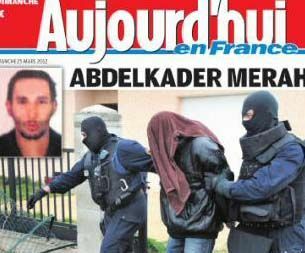 Abdelkader Merah, brother of Mohamed Maher, who was killed in a police raid in Toulouse after confessing to the killing of Jewish students and their teacher and three French soldiers, was brought before a judge at the Palais de Justice in Paris early Sunday morning. 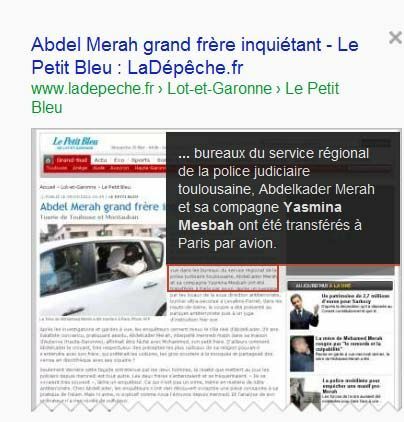 He is expected to be charged with complicity in his brother's killings or criminal conspiracy in connection with a terrorist enterprise. 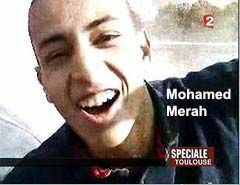 Bump and Update: Multiple French News sites are now reporting Mohamed Merah is dead. It's been confirmed by police. Three police officers were wounded, one seriously.